On Wednesday, the Team USA Women’s hockey team did something huge: For the first time in 20 years, they’re bringing home Olympic gold. Despite the fact that they were up against Canada, a country that’s known for its hockey — and has won the last four Olympic titles — the team managed to score that historic win in what ended up being part of Team USA’s most successful 24-hour period of the 2018 Winter Olympics. But unless you follow hockey on a regular basis — or if you’ve been paying super close attention to the Olympics — this incredible team might be new to you. And they aren’t just amazing because they won a gold medal, either. There’s so much more to them than that, and it’s enough to convince anyone that they truly deserved this win. 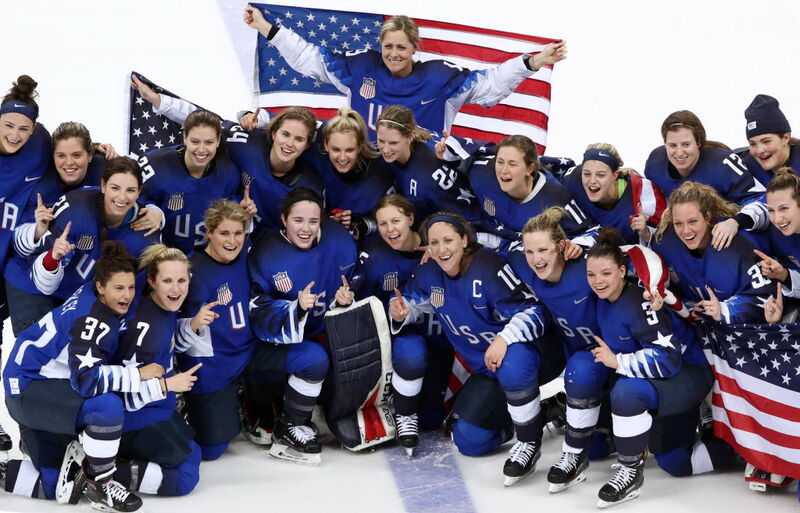 Here’s everything you need to know about the Team USA Women’s hockey team. Don’t be surprised if these facts turn you into a legit fan. Last year, the Team USA Women’s hockey team threatened to boycott the IIHF World Championships unless USA Hockey agreed to pay them more. According to Deadspin, the women were initially paid $1,000 per month — and only for the months they were training for or competing in the Olympics, as if preparing isn’t a full-time job. Fortunately, they were able to reach an agreement and negotiated a $70,000 per player payday, or else we wouldn’t have gotten to see that epic Olympic win. And even when she’s not on the ice, she’s a huge inspiration to girls and women everywhere — especially the ones who want to grow up to be just like her. Like we said earlier, it’s been exactly 20 years since the women’s team had their last Olympic win, so the fact that these ladies were able to pull it off now was historic — and it’ll make a big impact for U.S. women in sports. Not that it had much to do with their win, but look how cute they are! Player Amanda Kessel’s brother, Phil Kessel, is also a professional hockey player and Olympian, and now, she’s topped her brother’s gold medals by one. And of course, it seems like they’re totally supportive of each other. There’s also a set of twins on the team — Jocelyne Lamoureux-Davidson and Monique Lamoureux — who were critical to the team’s Olympic victory. And there’s even a pair of sisters — Hannah Brandt and Marissa Brandt — playing for opposing Olympic hockey teams. Marissa was adopted as a child from South Korea, so she played for the Unified Korea team, while Hannah played for the Team USA Women’s hockey squad. How else could they have scored a win like this? So many congratulations are in order for these talented women who should be so proud of what they’ve accomplished. Maybe next Olympics, they can continue their streak? See you in 2022!